Craig was born on March 15, 1968 in Arlington, MN to Fred and Judy (Kahlow) Weckwerth. He grew up in the Henderson area and graduated from Henderson High School in 1986. He attended Mankato State University following high school and shortly after began his successful career, Weck Painting. Craig was a driven professional with a love of family, friends a good game of cards, vacation time with his family and his work family. When diagnosed in 2011 he remained dedicated to work and family and his will to fight his disease. He remained brave, iron-willed and even throughout his final months. Craig married Cara Felmlee on September 23, 2017 at North Star Farm in Sibley County. The couple lived in Tyrone Township, Le Sueur County where they shared their families together. 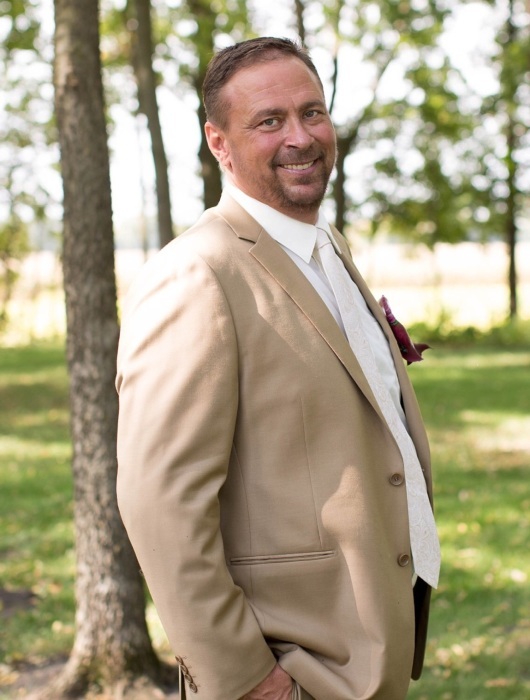 Craig is survived by his wife Cara; children; Hailey (Tyler) Young of Mpls, Madison Weckwerth and fiance’ Kyle Hennen of Mayer, MN, Calvin and Jacob Weckwerth of Mpls., Gage, Grace and Rhyan Bishop of Henderson.